Categories: Humility, Srimad Bhagavatam, Surrender, Worship. 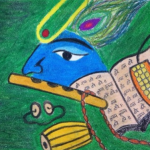 Srimad Bhagavatam, in its pursuit to purify the listener, aptly places the story of King Ambareesha – an ardent devotee of the Lord and an epitome of humility – right before the glorious tenth canto (which contains the stories of Sri Krishna) to cleanse any nuances of pride left in the listener. Ambareesha had exceptional devotion to Bhagavan. He had inherited the entire earth and possessed unrivalled power, yet his mind was constantly immersed in Him, his hands cleaned the premises of His temple and served His devotees, his ears heard only His wonderful stories, his eyes saw only Him and he ate only His prasadam. Ambareesha had offered his entire self to Hrishikesha, the Lord of the senses. And the Lord in turn protected Ambareesha by sending his discus Sudarshana to guard His devotee’s kingdom! Once Ambareesha undertook a vow to fast on every ekadasi for an entire year. 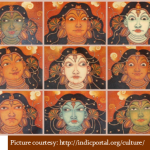 The last one, he observed at Madhuvana on the banks of the Yamuna. On dwadasi day, as he was about to break his fast, Sage Durvasa arrived there. Ambareesha offered his obeisance and invited him to dine. Durvasa agreed and went to bathe in the river. 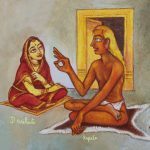 As the sage was delayed and the time to conclude the fast was running out, Ambareesha had a sip of water, which would conclude the fast while at the same time allow him to remain dutiful to his guest. On learning that Ambareesha had broken his fast, the enraged sage created an fiery spirit to attack Ambareesha. Ambareesha stood humbly in his place, ready to accept the result of his ‘mistake’. But the Lord’s discus could not remain still. 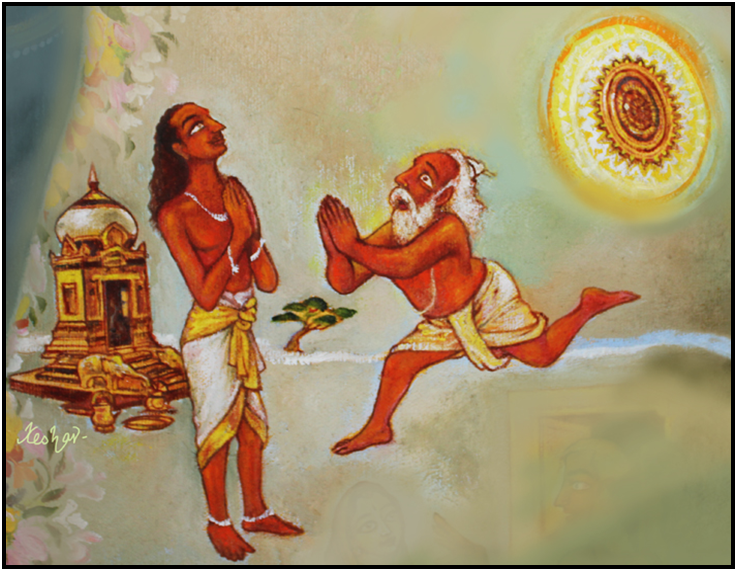 Being It’s duty to protect Bhagavan’s devotee, the Sudarshana instantly burned the spirit and rushed toward Durvasa. Durvasa frantically ran in different directions in an effort to save himself from the scorching fire of the Chakra. The devotee king who lived amid luxuries stood fearless when faced by death, while the sage who performed austere penances ran fearfully from the Lord’s own discus! 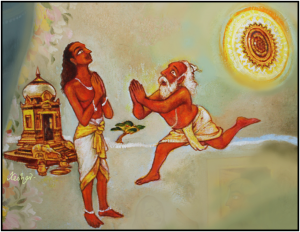 After trying in vain to seek help from Brahma and Rudra, Durvasa finally ran to Sri Hari for relief. But, revealing that He is only a slave to His own devotees, the Lord sent Durvasa back to Ambareesha. Full of remorse, Durvasa returned to the king and clasped his feet. Here again, Ambareesha’s humility stands out. Instead of being gratified that the sage who had tried to kill him was now at his feet, the king actually considered it a misfortune that his feet should be clasped by a great sage! Withdrawing his feet out of humility, Ambareesha extolled the Sudarshana in the name of his own glorious ancestors! Sudarshana cooled down at the king’s entreaty. King Ambareesha, though bestowed with the highest birth and supreme devotion led a humble life in communion with the Lord. The Lord Himself says, “Asceticism and devotion bring highest good only when offered with humility, while lack of modesty leads to contrary results”. One Response to "Ambareesha: Humility Personified"
We all know the stories, but its nice to read again and again when it is easily available on line. and specially I like the conclusion,a very good try.